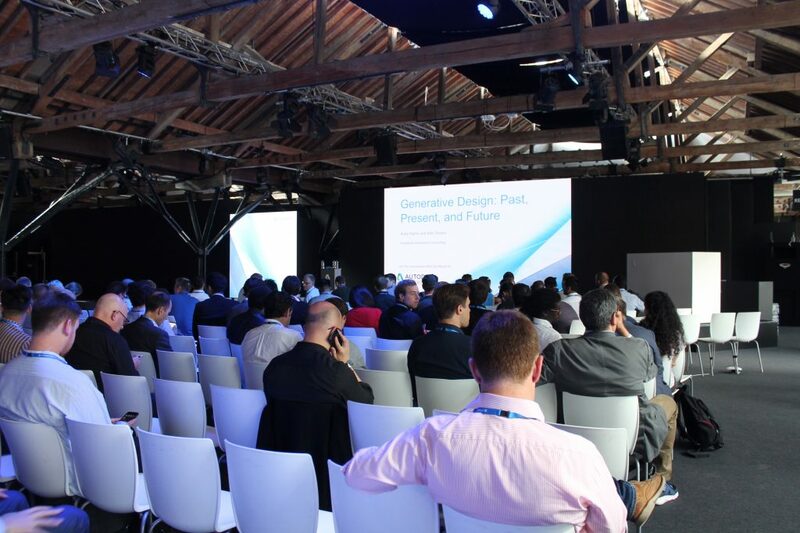 Autodesk’s software user conference, Autodesk University (AU), took place this week in London with industry professionals from all over the world converging to experience the latest innovations in CAD technologies. 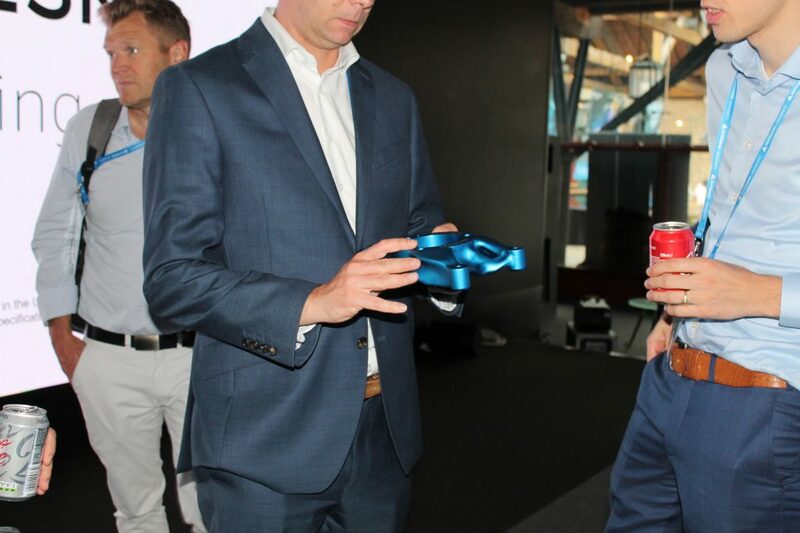 I attended the event to see a wide range of exhibitions, classes, lectures and hands-on sessions demonstrating the use of CAD in industries such as construction, automotive and additive manufacturing. With a keenness to learn more about how design processes can affect AM end-production, 3D Printing Industry attended AU’s industrial talk entitled “Generative Design: Past, Present, and Future”. This lecture was led by Autodesk’s Principal Technical Consultant Andrew Harris and Allin Groom a Research Engineer at Autodesk. Sitting down for the AU lecture on generative design. Photo via Tia Vialva. Generative design is the form finding process that can create optimal design solutions with minimal user input. 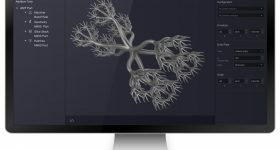 Project Dreamcatcher, a generative design software, allows designers or engineers to input their specific design requirements. 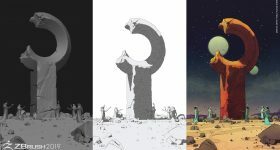 The system then uses computer algorithms and AI to generate a large number of designs solutions to meet those design requirements. After the designer selects the most suitable iteration, the system can further modify the ideal design solution. Often the results are designs which may only be possible to make using additive manufacturing. 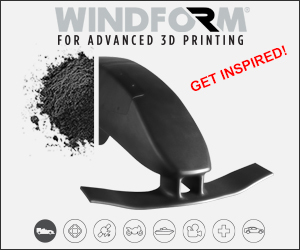 Generative design often creates complex geometry within its outputs by taking into consideration such characteristics as material types, weight, strength and cost constraints. 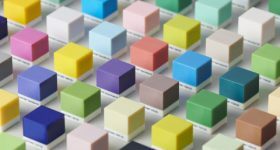 This process can reduce time and also boost creativity within product design. 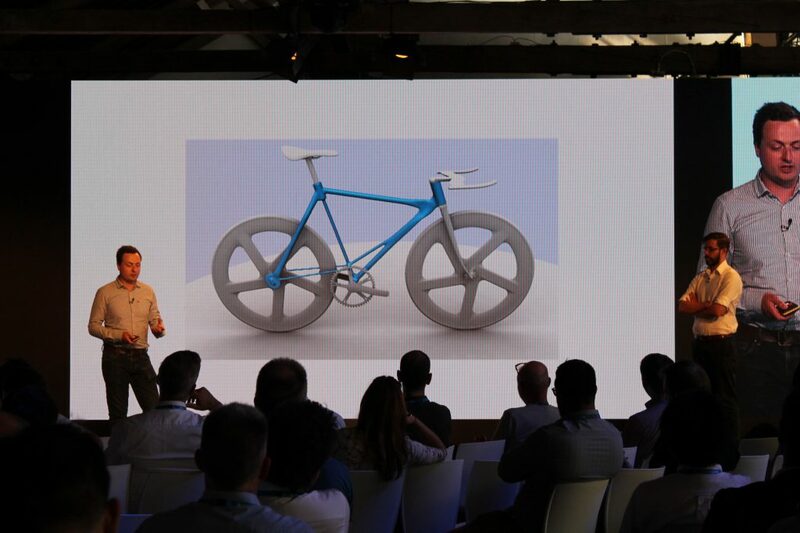 Autodesk’s Principal Technical Consultant Andrew Harris (left) and Research Engineer, Allin Groom (right) presenting design solutions for a bicycle created using Project Dreamcatcher. Photo by Tia Vialva. 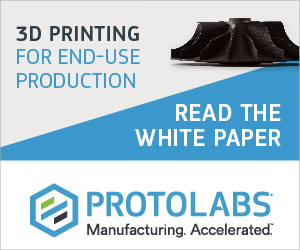 Although generative design has been around for some time, additive manufacturing has given it a means to reach its full potential. 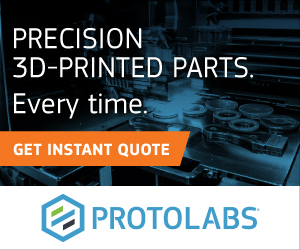 CAD software companies such as nTopology, Frustum, and ParaMatters are three CAD software companies that believe that generative design technology can help redefine how parts are designed for all manufacturing methods. 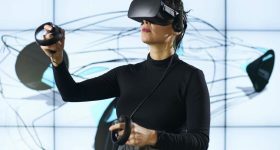 During the AU presentation, Harris detailed the collaborative efforts between Autodesk’s Dreamcatcher software and General Motors (GM) to design and create an optimized seat bracket for zero-emission vehicles. “We were looking for a really high-performance lightweight part and we also wanted to reduce assembly,” said Harris. By loading their design requirements into the Dreamcatcher software, GM was able to access the multiple permutations of the part design. Comparing the mechanical properties of each solution, GE produced a seat bracket with a reduced mass of over 30% while maintaining the stiffness of the original design. As a result of this collaboration, GM and Autodesk were able to produce a part that consolidates eight different components into one 3D printed part. The part was then machined in 5-axis at the Advanced Manufacturing Facility (AMF) in Birmingham. Optimized seat bracket. Photo by Tia Vialva. 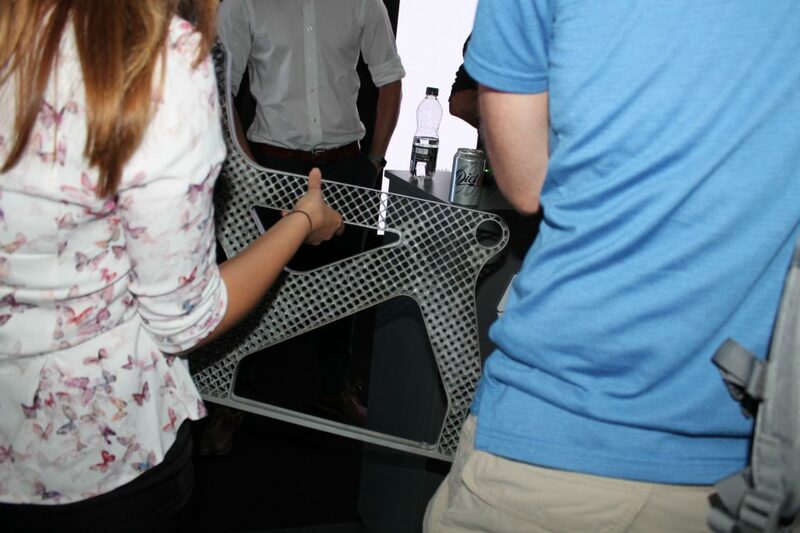 Additionally, Harris presented an aircraft seat frame that was created with the generative design process. Using generative design tools through Autodesk’s Netfabb software, engineers were able to overcome investment casting constraints to create an optimized lattice structure. Optimised lattice structure for an aircraft seat frame. Photo by Tia Vialva. Harris also presented a swingarm component that was modeled using generative design. Using material characterization, Autodesk was able to produce a lighter yet equally stiff component which was used to improve the overall performance of an electric motorcycle. A sand casting additive manufacturing process was then used to create the mold for the part. 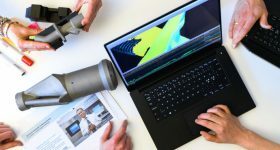 With successes in automated design processes, Harris revealed how Autodesk’s generative design software will be incorporated in the upcoming DRAMA project. 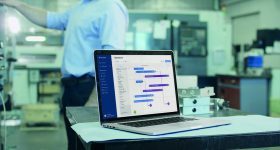 By automating processes such as build preparation and Design for Additive Manufacturing, (DfAM) Autodesk will develop “a smart factory in-a-box” that will reduce time, cost and risks of the AM process. The collection of data through generative design will create innovative geometries that consider the material properties, intended application and tensile strength within an engineer’s design. 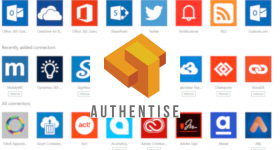 The digital factory also intends to shorten the learning curve for non-specialists through these smart software. 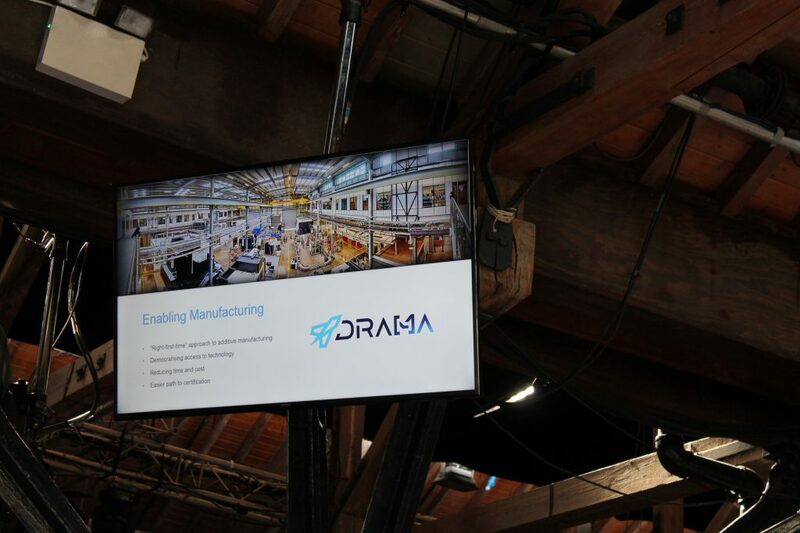 Autodesk introduces its plans for the DRAMA Project. Photo by Tia Vialva. 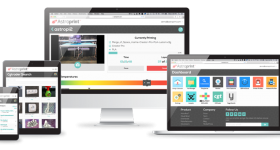 What’s next for additive manufacturing? AU highlighted the importance of improving CAD software techniques for the betterment of additive manufacturing. 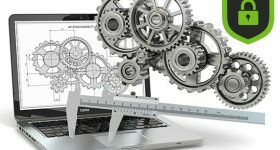 Real-time data monitoring (RTDM), self-rectification and personalization are all features within the generative design process that manufacturers are acknowledging as beneficial. 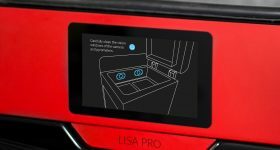 Manufacturers can now prototype innovative designs faster than before, eradicating the need for the manual trial and error process. 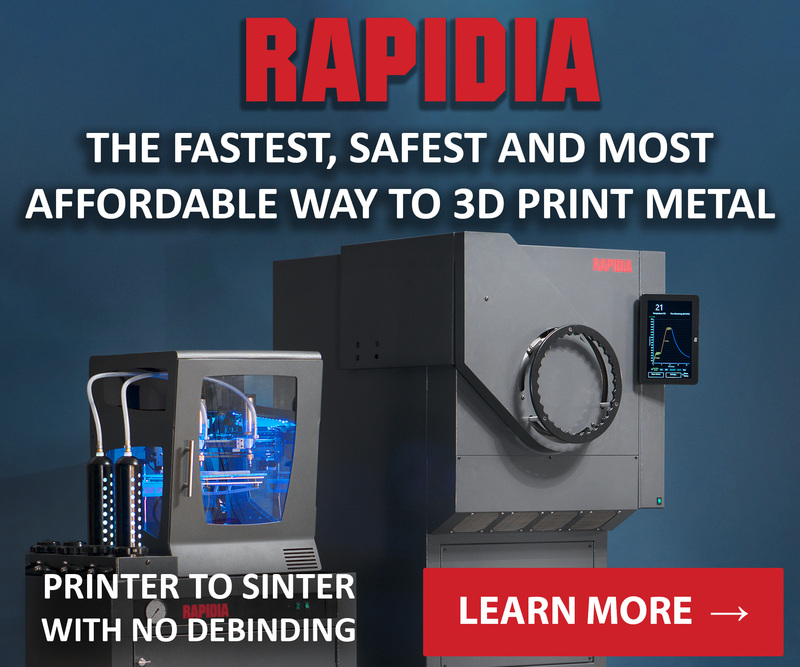 Integration of generative design processes also means that those using industrial 3D printing can create high-precision parts and components with an assigned purpose – resulting in the optimum performance of a part within its intended application. Featured image shows inside Autodesk University’s main room during the lecture on Generative Design. Photo via Tia Vialva.